There are some stories that no writer is talented enough to craft, no imagination wild enough to create, and no storyteller gifted enough to tell. These are the true-life stories of people who go unnoticed by us for almost a lifetime. These are the people who live by their own rules, pay little attention to other people’s truths, and follow their own hearts. In the process, they suffer great pains yet experience great joy. In the end, we all want to share in their journey, learn their lessons—if only for a moment –vicariously. Always in search of something more, Nancy Cooke de Herrera has led a life of subtle defiance in order to live a life of great adventure. In this story, Nancy tells the intimate details of her life, which include her friendship with the Maharishi Mahesh Yogi, founding father of transcendental mediation, and their time together in the Valley of the Saints with The Beatles, Mia Farrow, Mike Love, Donovan Leitch, and Paul Horn. All You Need is Love—a fascinating autobiography, a captivating adventure, an exotic tale, a celebrity-sprinkled true-story—chronicles Nancy’s life story and the growth of the Maharishi, from little known guru to international teacher of Transcendental Meditation and Promoter of peace and unconditional love. 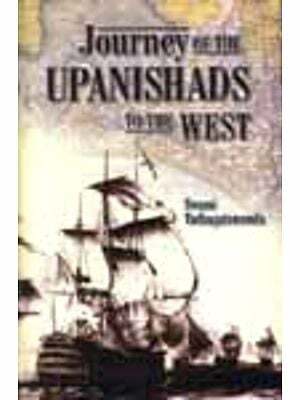 It is the ultimate eyewitness accounts of the time in history when spirituality spread form the East to the West. I’ve known Nancy Cooke De Herrera for the last 20 years, and she has a most compelling tale from which we can see the history of the spiritual movement that started in the United States and ultimately exploded as the quest for enlightenment throughout the world. Nancy was one of the first persons to wander through the mountains, the villages, and the Valley of Saints in India speaking to a variety of holy men and Sadhus, ultimately meeting Maharishi Mahesh Yogi, the founding father of Transcendental Meditation. Whether you are a follower of the Maharishi or not, this book will give you a unique insider’s view of one of the greatest living sages. As the founder of Transcendental Meditation (TM), the Maharishi traveled to the west in 1959. By the mid-1960s, TM began riding a crest of popularity, highlighted in 1975 when almost half a million Americans learned the technique in that one year. In this book, Nancy shares her personal journey, often at the side of the Maharishi, with all of us. It is a story of both personal transformation and global transformation. Nancy has great insights into the nature of authentic spirituality as well as the dangers of spiritual materialism. This book is not only a very fascinating story of the history of the evolution of consciousness, but it has great wisdom, and is written with humor, insight, and maturity. Anyone who is on a spiritual path in the world today will find Nancy a great role model—a person grounded in common sense, but at the same time, reaching for the stars. My Life has been blessed. I have experienced the extraordinary in peoples, places, and situations, given birth to four happy, caring children, and loved from the depth of my soul. In spite of the loss of this great love, I found the path to peace and to the beauty of simplicity I grew up in a family with a father, mother, grandfather, and two sisters. Our home in Northern California was supportive, loving, and close. This happy foundation encouraged me to later become an adventuresome risk-taker. One of the qualities I still possess today, which lam grateful for, is an insatiable sense of curiosity that’s seemed to be inherent from birth. It is a fascination that has evolved from the innocence of a child to the understanding of a person attracted to spirituality out of a need to comprehend love and loss. I needed to know there is justice in the universe! Shaken to the core, and left with four young children in Argentina after my husband, Luis’s, death, I felt empty, abandoned, and alone. At the same time I knew there had to be a just reason for taking from me this magical person I so deeply loved. I could not face the word “eternity,” which I saw carved on most headstones as I prepared for his burial. I wouldn’t allow myself to think of never having contact with Luis again. There had to be something more. Out of a genuine desire to comfort and support, a dear friend Biju Nehru from India, sent me a book, titled The Autobiography of a Yogi, about the life, teachings, and philosophy of Paramhansa Yogananda. 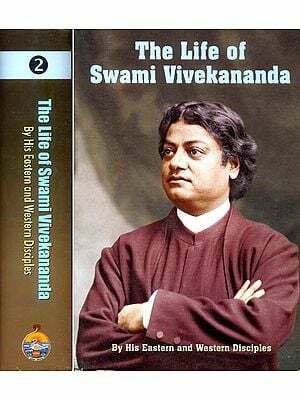 His remarkable childhood, his encounters with many saints and sages during his search throughout India for an illumined teacher, the ten years of training by a revered yoga master, and especially his discussions on. Reincarnation, were all I needed to spark more than an interest in visiting his mystical homeland. So, it was not unexpected that seven years after Luis’s death, I found myself, in 1962, landing in India to seriously begin my spiritual exploration. In spite of obvious poverty, most Indians seem happy and energetic. They believe in something. Everyone has a little altar in his home for daily prayer. They live their spirituality. They love and help each other. Over and over again I witnessed the loving hospitality of these beautiful people. They may be poor, but they know about love. Wandering through the mountain villages, and Into the Valley of the Saints, I spoke with a variety of locals, holy men, and sages. Ultimately, I was directed by Swami Shivananda to Maharishi Mahesh Yogi, the founding father of Transcendental Meditation (TM). He would become my mentor, guru, and friend. We would travel the world together spreading his words of love, peace, and the benefits of meditation. Would become a teacher of TM, an “initiator,” which! Continue to be to this day. When The Beatles, the most popular music group at the time, came to the ashram in India to learn from Maharishi, it helped open the door to the Western mind about the value of meditation. It was an exciting time. Spirituality spread from the East to the West! What transpired from that point to now has taken me through cathartic transformation time and again. When I started meditation, friends would often express dismay, “You’re not sick, you’re not that old! Why do you need such a crutch?” In later years many of these same persons came to me for help. Starting out, my goal was finding if justice does exist in the universe. Now I know it does; nothing happens by chance, and everything happens for a reason. I am a person interested in spirituality, but still live fully in this world. I have given up nothing; I have added to my life. The “path of the householder” does not require withdrawal, as does the “path of the monk.” I have experienced “inner bliss,” and the consciousness of 5eing.” I have learned that love is an essential but earned emotion, and a sense of guilt is a waste of time. “As we sow, so shall we reap.” Would have done things differently when I look back on the past? Maybe, but has been a learning process. And on the path I have encountered some of the most enchanting and intriguing personalities. Maharishi teaches we must learn it all—life, death, and after death. He says, “To learn only about life, is like taking a course in oceanography and only studying the waves.” Over the years many spiritual students and friends have asked me, “How did you find your path? What is different with TM from prayer or guided relaxation? What has it done for you?” In writing this book I hope I have answered many questions. It has been an exciting life, and who knows what lies around the next corner. Gratefulness is said to be one of the most spiritual of words. For this opportunity to share with you, I am most grateful. So, come along with me through my initial turbulent trials to a place of serenity. I went out looking for answers, India taught me where to find them—they were within rue all the time. As you travel your own path through life, may you remember, all you need is love and faith.